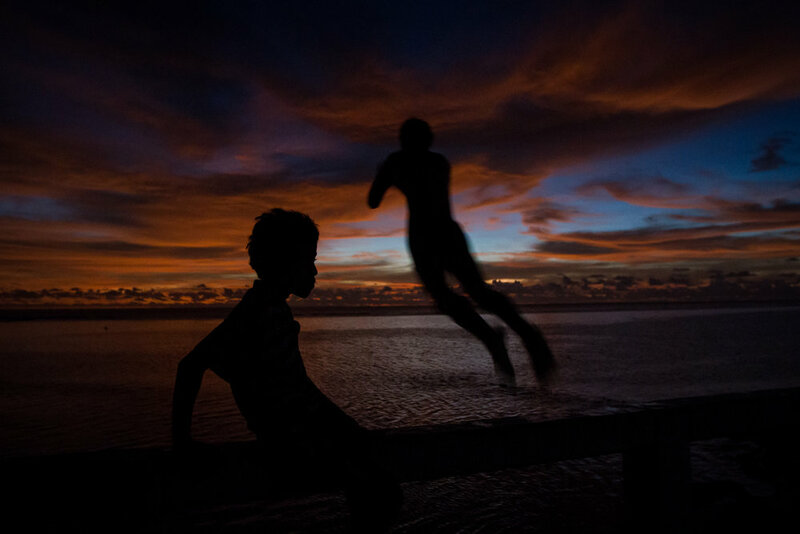 At sunset in South Tarawa, a boy looks across at a palm tree killed by the sea. In a few days, the moon will be full, bringing the highest tide in three months and the chance of another inundation by the sea. Flooding directly impacts the islands' meagre supply of fresh water making it undrinkable, and causes crops and other vegetation to die. 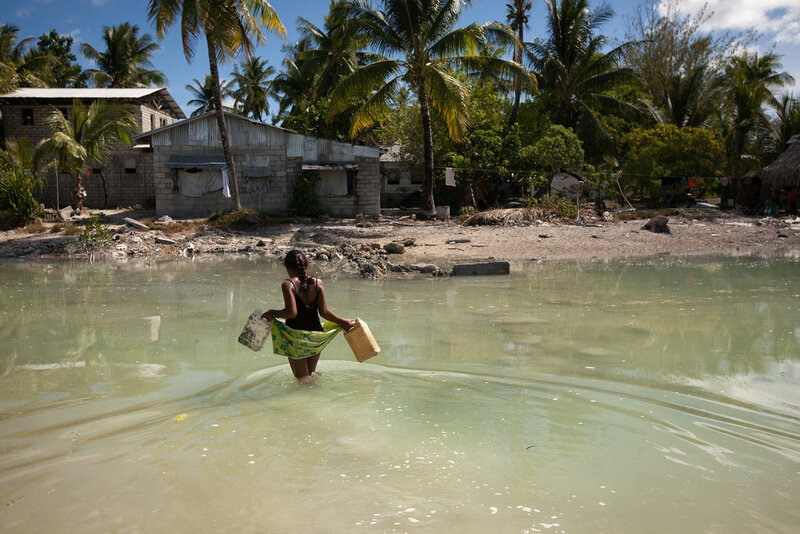 A young girl crosses the heavily polluted lagoon at high tide to get some water for her family, who live on a thin strip of sand that gets cut off from the main island every high tide. A boy swims in the lagoon next to his house in Temwaiku that is heavily polluted with rubbish brought in by the tide each day. Pollution is of course not caused by climate change, but the rising seas means less land and less money to deal with the basics. A boat washed ashore on Red Beach during a storm in 2013 now serves as play equipment for the local Betio kids. Betio is the most crowded and densely populated slum area in South Tarawa, with serious pollution and fresh water problems. As the tide comes in and the sun sets, a young boy gets in one final jump from a bridge in Tarawa. 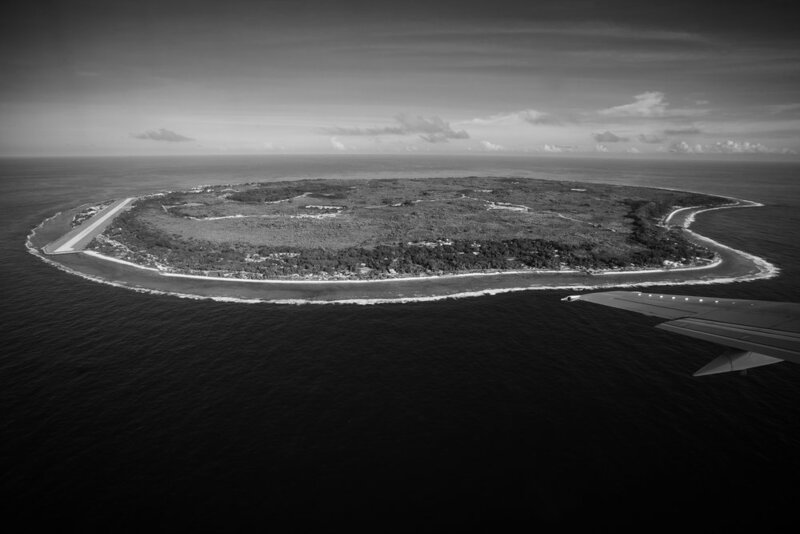 With global temperatures still increasing and sea level rise continuing to accelerate, the future of these atolls hangs in the balance.